This April, two dance forces will join together with the mission of providing positive dance experiences to the youth. Future World Productions (FWP), a Cincinnati, Ohio based non-profit performing arts and education center, and dancer King Charles will host Toyota’s Learning Through Leadership, a program for youth ages 14-24 that allows them to be at the forefront of a creative project, guided by a professional mentor in the arts. This could mean kids would assist a choreographer in a dance class or perform as a main act’s back-up singer or dancer. FWP has chosen King Charles as its latest mentor, as his footworking dance style is unique, fun and exciting. And King Charles is equally excited about the collaboration and to share his knowledge and dance style with the youth. King Charles, of Chicago, Illinois, says he started dancing as soon as he could walk. 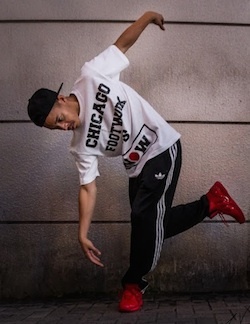 He was technically trained in Chicago Footwork, a fast-paced dance style that requires the dancer to move his/her feet to house and juke music, reaching tempos of 160bpm. He also studied New York house dance and hip hop. He has worked with celebrity artists such as Madonna, will.i.am, Missy Elliott, Katy Perry and Willow Smith, and he competes, judges competitions, teaches, choreographs, performs and gives lectures. 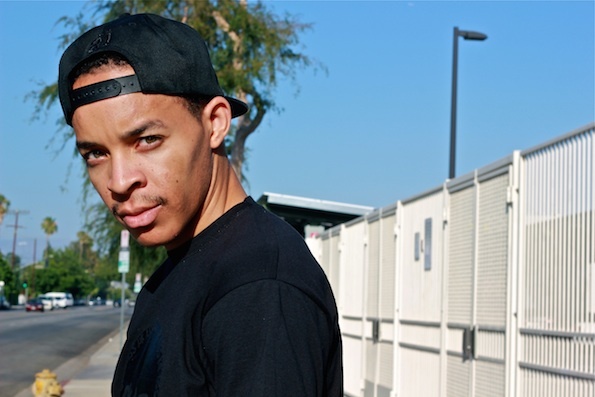 Dancer King Charles, who specializes in footworking dance style, will partner with Future World Productions for workshops and events for the youth this April. Photo by Anne Vornbrock. FWP’s Event Coordinator, Merissa Lawrence, first discovered King Charles on YouTube. She was instantly impressed and believed he would be the perfect addition to FWP’s dance workshops and programs. With FWP, King Charles will host a series of several two-hour dance workshops beginning April 18 for students ages eight through adult. He will also serve as choreographer for some FWP shows, will host some of his own shows and will lead workshops for the Toyota’s Learning Through Leadership Program. King Charles says he and FWP have a lot planned for these upcoming programs and for the future. To learn more about FWP’s upcoming events with King Charles, head to www.futureworldproductions.org, and to check out King Charles’ fancy footwork, visit his website, kingcharlesfootwork.com. Photo (top): Footwork dancer King Charles from Chicago. Photo by MANSTER FILM.